In The Netherlands, the remuneration system for GPs changed in 2006. Before the change, GPs received a capitation fee for publicly insured patients and fee for service (FFS) for privately insured patients. In 2006, a combined system was introduced for all patients, with elements of capitation as well as FFS. This created a unique opportunity to investigate the effects of the change in the remuneration system on contact type and consultation length. Our hypothesis was that for former publicly insured patients the change would lead to an increase in the proportion of home visits, a decrease in the proportion of telephone consultations and an increase in consultation length relative to formerly privately insured patients. Data were used from electronic medical records from 36 to 58 Dutch GP practices and from 532,800 to 743,961 patient contacts between 2002 and 2008 for contact type data. For consultation length, 1,994 videotaped consultations were used from 85 GP practices in 2002 and 499 consultations from 16 GP practices in 2008. Multilevel multinomial regression analysis was used to analyse consultation type. Multilevel logistic and linear regression analyses were used to examine consultation length. 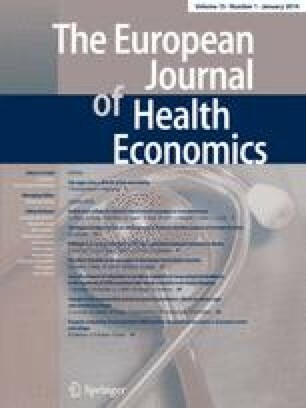 Our study shows that contact type and consultation length were hardly affected by the change in remuneration system, though the proportion of home visits slightly decreased for privately insured patients compared with publicly insured patients. Declaration behaviour regarding telephone consultations did change; GP practices more consistently declared telephone consultations after 2006.